Maggoty Johnson is a real person, who was the last professional jester in Britain. He was also a playwright and actor, under the stage name Lord Flame. He knew the family who lived at Gawsworth Hall, Cheshire, and asked to be buried in nearby woods, Maggoty Woods, when he died. His last wishes were followed and his grave can be seen. There is a legend that, if you go there on Hallowe’en and call his name 13 times, he will rise up from his grave and dance for you. I wrote this poem about him, and it subsequently won a Highly Commended in the Cheshire Prize for Children’s Literature, and a nice cheque. At the awards evening, it was read out by Tony Robinson (who gives very good hugs). I will be performing this poem the day after Hallowe’en at Marshall’s Arm on 1st November 2014, at a family event which runs from 6-8pm. I will also be telling stories and reading other spooky poems. There will be refreshments and a section of the woods will be decorated. Children may wear their Hallowe’en costumes and bring lanterns. (There will be prizes for the best ones)Torches will also be needed. In Maggoty Woods it’s dark and grim. The worms crawl out and the worms crawl in. Maggoty’s buried six feet deep. He rests his eyes but he’s not asleep. Maggoty Johnson loved to dance. and caper up and down on stage. Now he’s at the skeleton age. In Maggoty Woods there’s no church near. The ground’s unholy, it’s dark and drear. as the sort of place he’d like to be. Maggoty Johnson was called Lord Flame. Now he goes by a different name. He haunts these woods and he haunts them well. Sooner or later you’ll be under his spell. On Saturday 6th of July, I will be providing some poetry and a workshop at a free family event in our local woods, Marshall’s Arm. Today I was taken on a rekkie walk to look at the terrain. 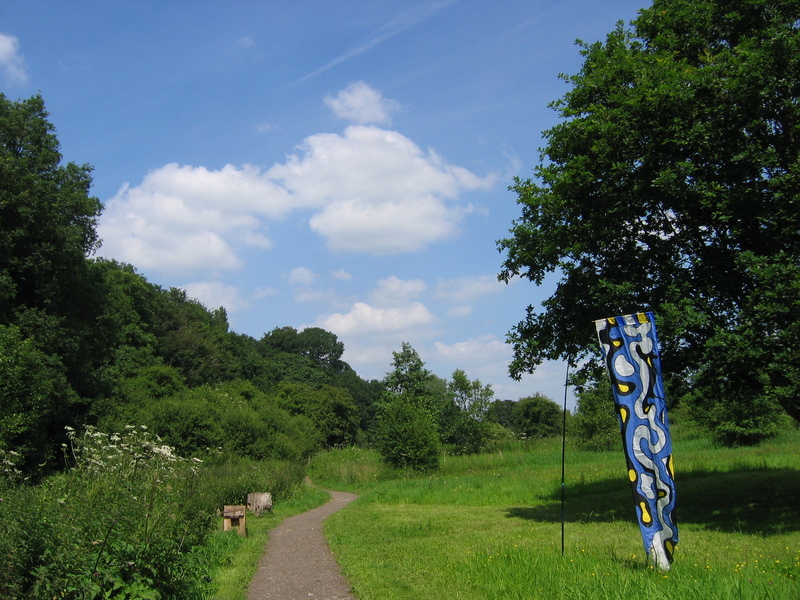 There is a wonderful variety of plants and trees, birdsong and a stream, lots of interesting fungi and wildlife. We met two different parties of primary school children, and some secondary school pupils who use it was a short cut home. It was good to see it so busy. If anyone wants to come on Saturday, it starts at 12 noon at Stones Manor Lane entrance and you bring your own picnic. 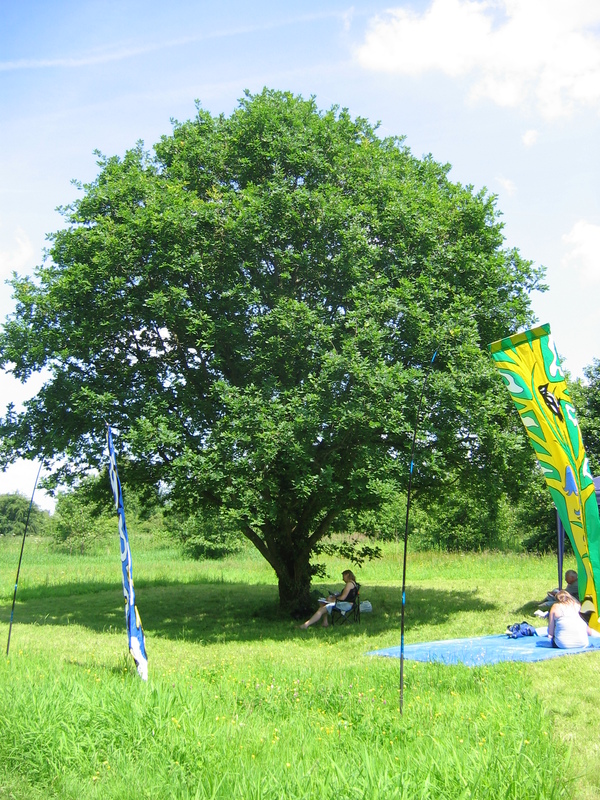 I now have the lovely task of finding some poems to inspire the group at various stopping off points, as well as some workshop ideas when they arrive at the picnic site, which is a beautiful oak tree standing in a clearing, which has been mowed today into a fary ring. John Clare, Edward Thomas, Robert Frost and many other poets will be on my list for this event. There is also a plan to display some of the poems written on the day in a glass covered notice board. 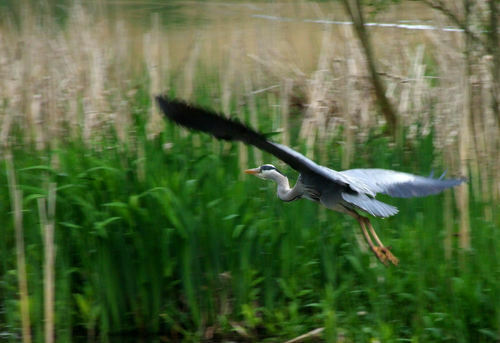 Once through the woods, there is an oxbow lake with many birds, including a regular heron. There’s also frequent sightings of owls, buzzards, wagtails, ducks of several kinds and many others. I was pleased to be invited to bring poetry to the community in this way. For me it is all about giving something back to the environment and the community, and spreading my love of poetry as wide as possible.